I have been a keen advocate of rag rug making for many years and recently shared my interest with our local community. 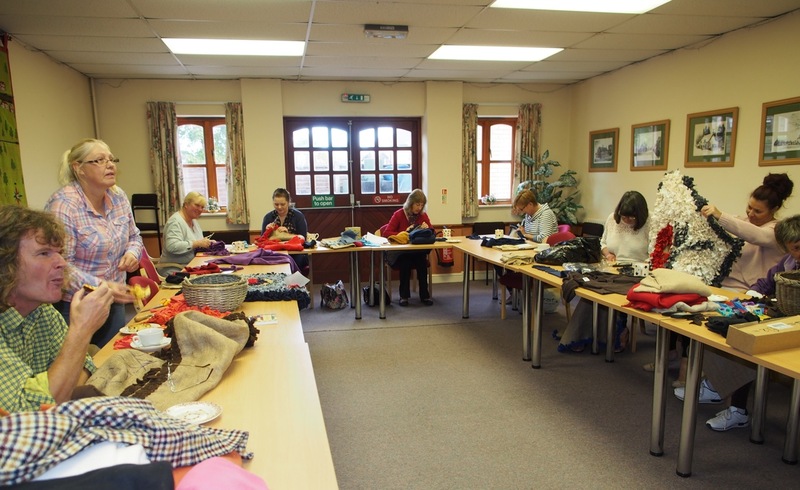 Our first rag rug making workshop held in the Village Hall attracted 23 participants, from the village and some from further afield! The tool used in the process is known as a Bodger – hence the name for the group, the Busy Bodgers! 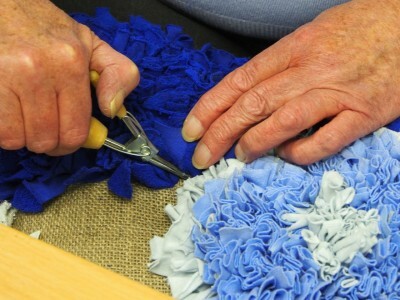 Rag Rugs, also known as Peg, Proddy or Snip Rugs depending on the technique used, are also known as ‘Memory Rugs’. 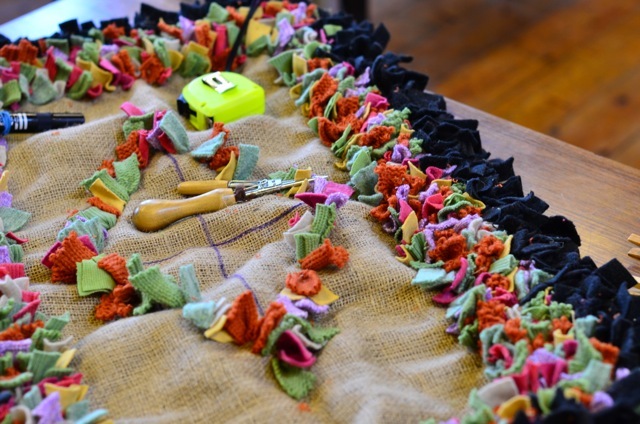 By creating a rug using garments or fabrics belonging to the family you are creating your own family heirloom which is likely to be enjoyed by generation after generation! 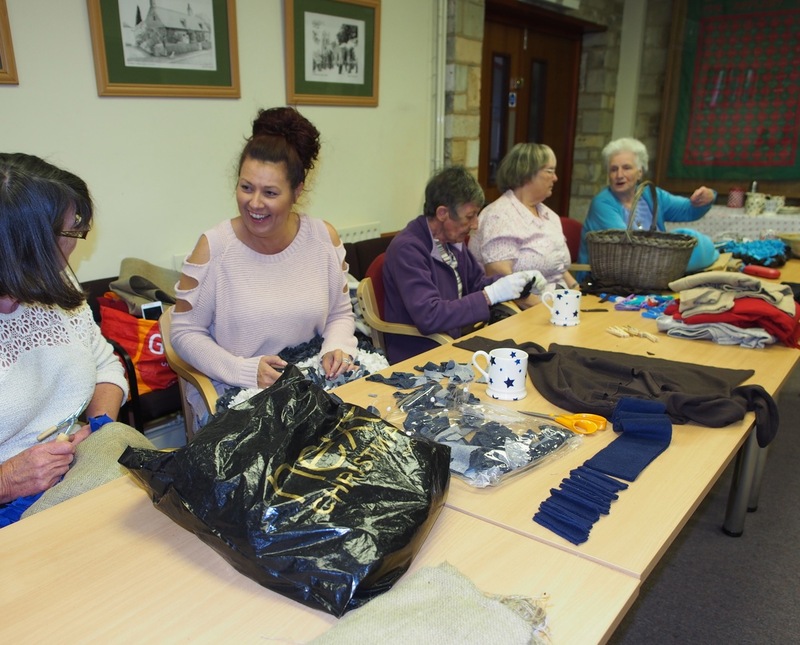 The current willingness to recycle and interest in traditional pastimes, means more people than ever are keen to learn and become involved. 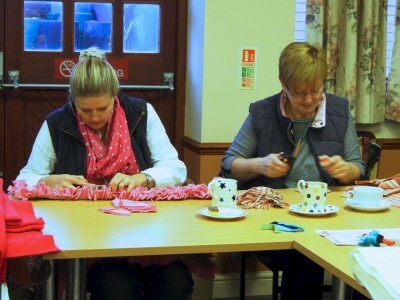 It appeals to all ages and artistic abilities – with a little tuition and the right materials it is a craft anyone can do! As well as recycling clothes and fabrics it provides a wonderfully creative and therapeutic outlet too. The time is right for a resurgence of this wonderful craft! Further workshops are planned. 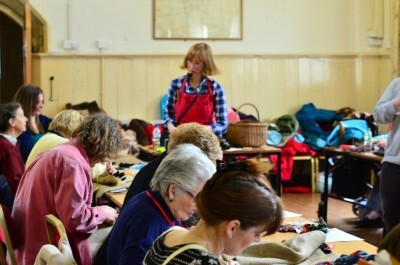 If you would like to get your hands on a ‘Bodger tool’ and learn to make your own rug, you will be made very welcome. Use of tools, plus hessian backing and tuition are provided along with scrummy, home made toasted teacakes and tea or coffee in a very convivial environment. Bodger rug tools, available at the workshops, are £18. Hessian from the roll is available at £3.50 per metre.